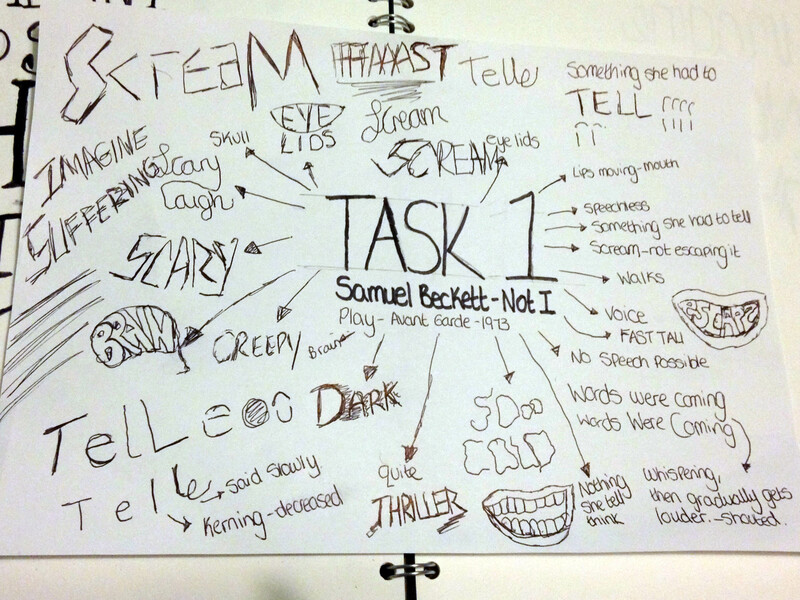 For Task one, I responded to the 1973 play Not I by Samuel Beckett. I started off by creating a brainstorm of notes on my thoughts of the play, which helped me to sketch out my interpretation of the play. 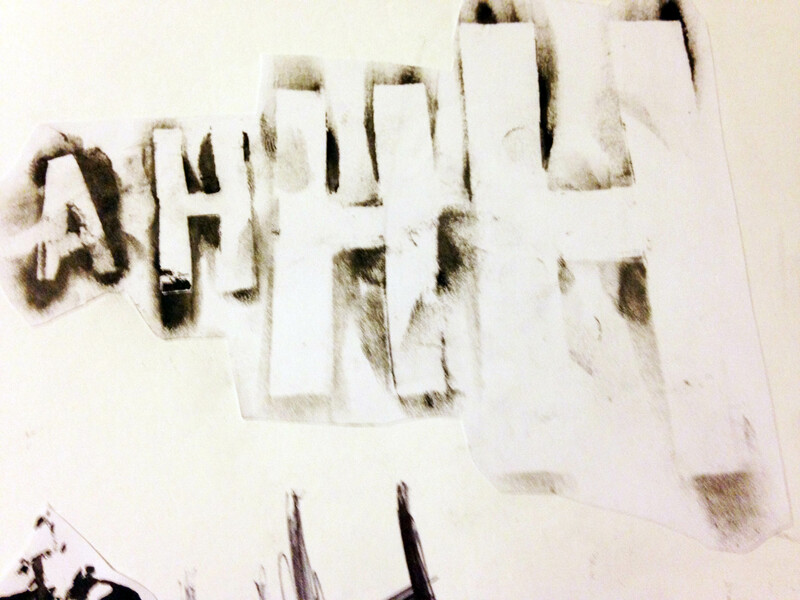 Sketches for the 1973 play Not I by Samuel Beckett. 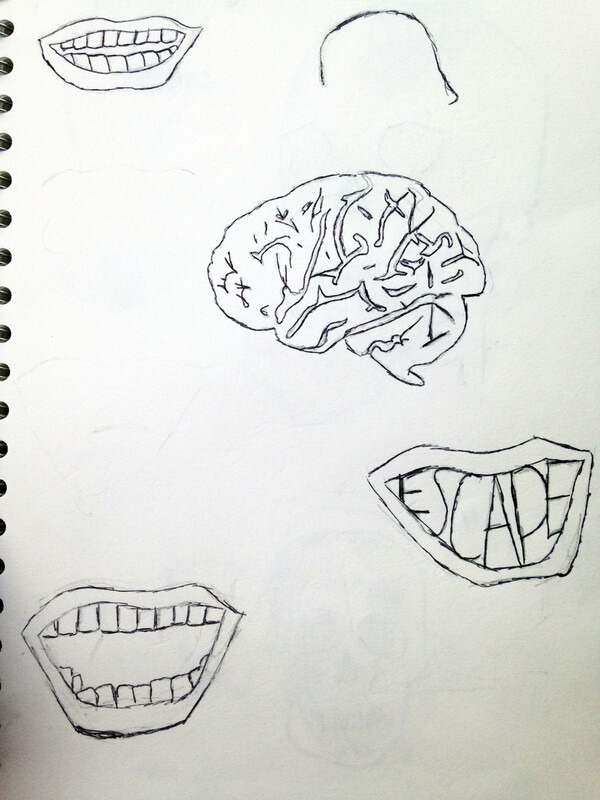 These sketches show my response to this play: The mouth is shown in the play, it the most consistent and important part of the play and the word escape inside the mouth shows the woman/girl is trying to escape by screaming and a human head. 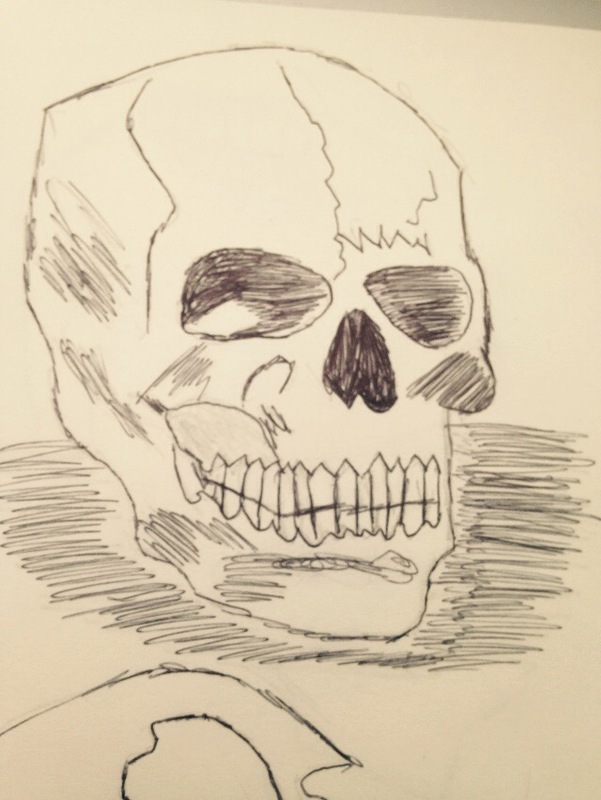 Sketches of skulls. 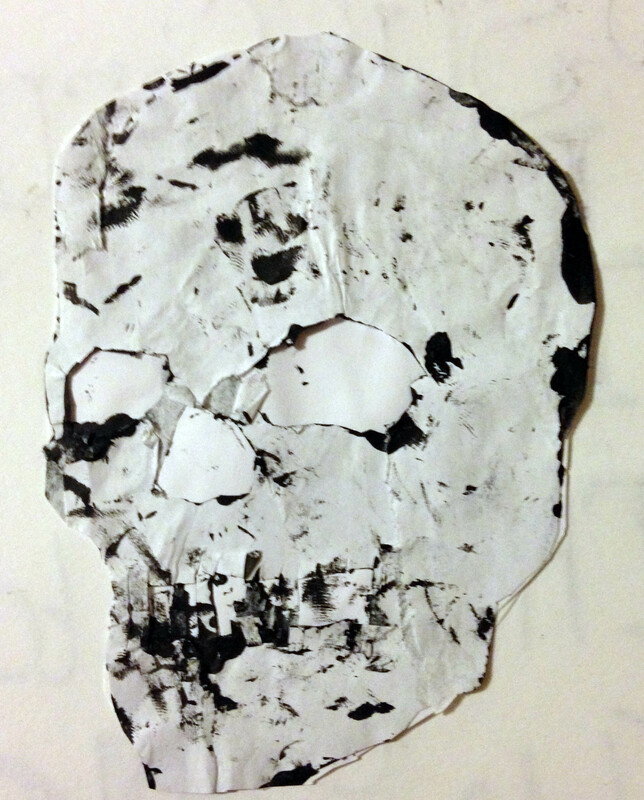 In the play it mentions the skull. 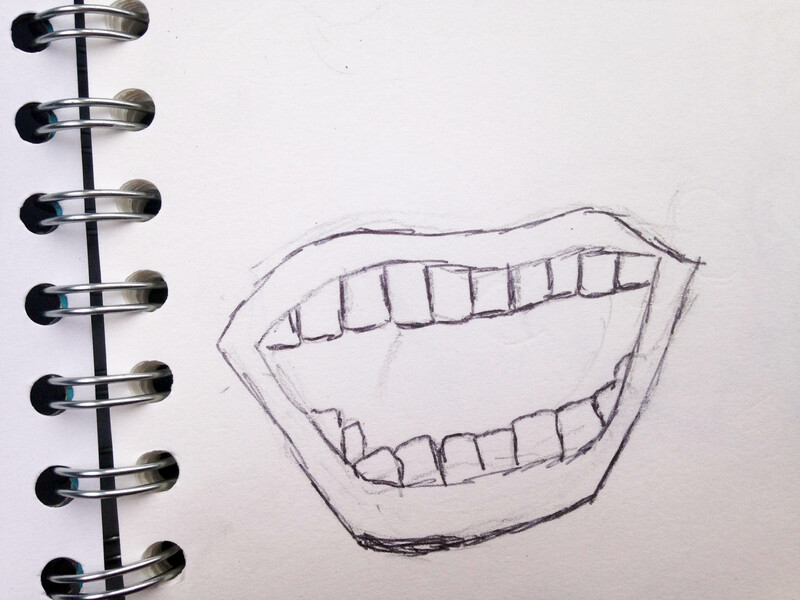 Mouth shown in the play and the brain which is mentioned in the play. 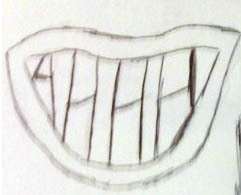 The letters ‘AHHH’ inside the mouth are shaped so they fit inside the mouth, this sketch looks like teeth and it represents a scream. 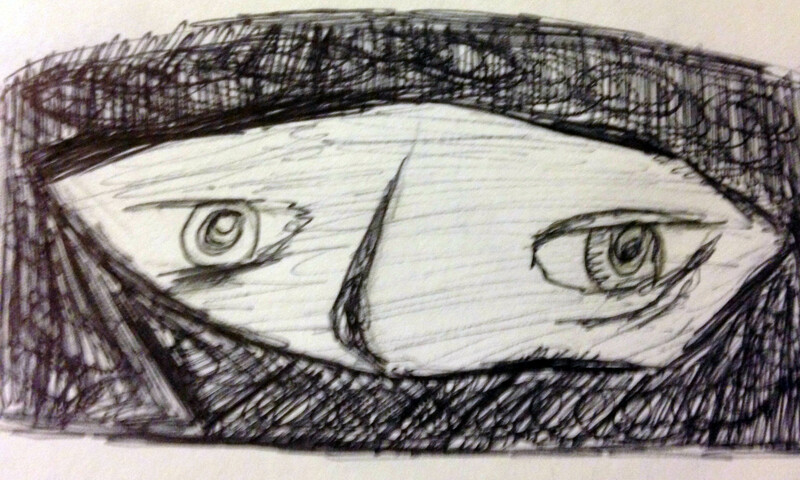 The eyes are meant to show the more sinister and creepy side of the play. One of my first thoughts about this play was it looked quite scary how it was portrayed as only seeing a mouth all the way through the play in pitch black. 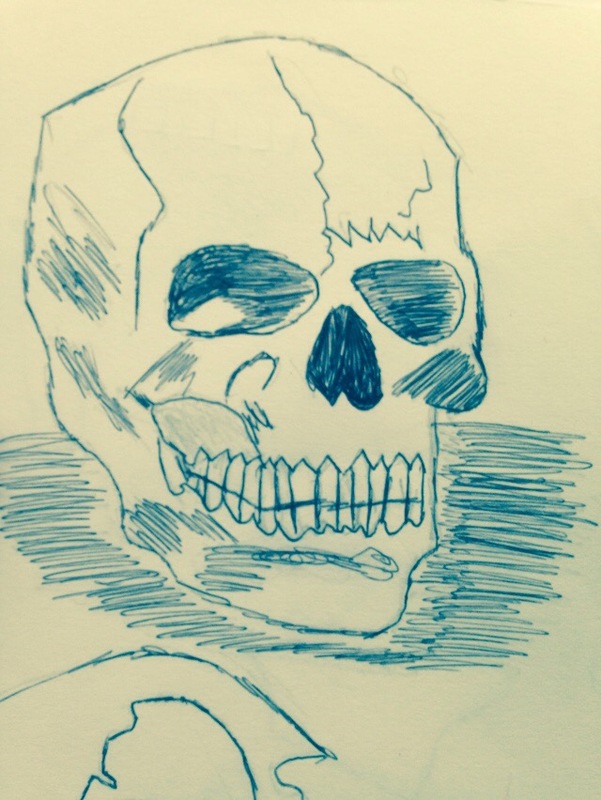 I tried to show this by using biro which creates a good textured and sinister look to the sketch. 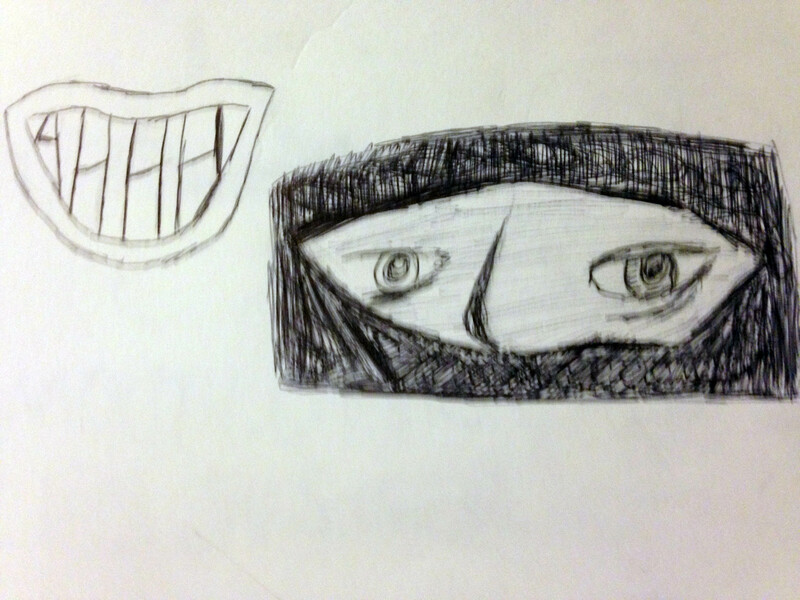 Scary eyes to resemble a stare. 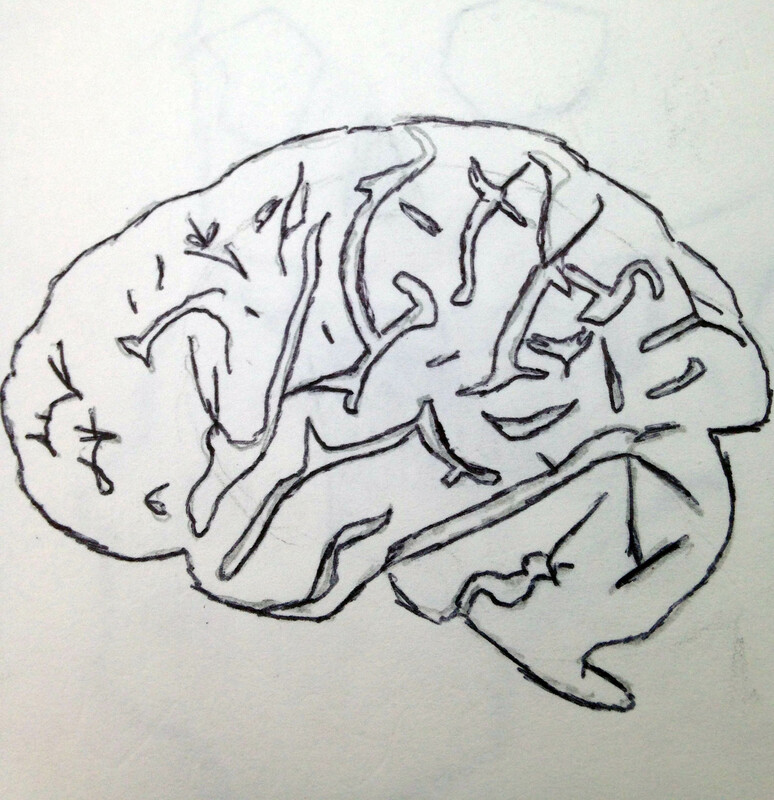 The word brain to show the shape of the brain visually. 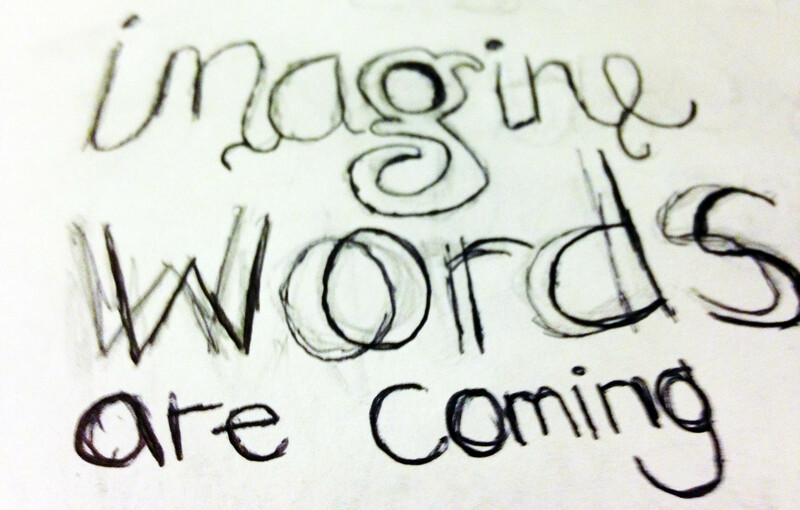 Serif typeface for the word ‘Imagine’ to show how old the play is. The letter W of he words shows tears at the bottom of this letter to emphasis the woman in the play crying- This may not resemble the actual meaning of the words but it does resemble parts of the play. The letter g looks decorative, stands out. serif typeface with a curvaceous style. The word is ‘words’ is repeated twice overlapping each other to resemble words are coming. Experimented with acrylic paint to create this effect.